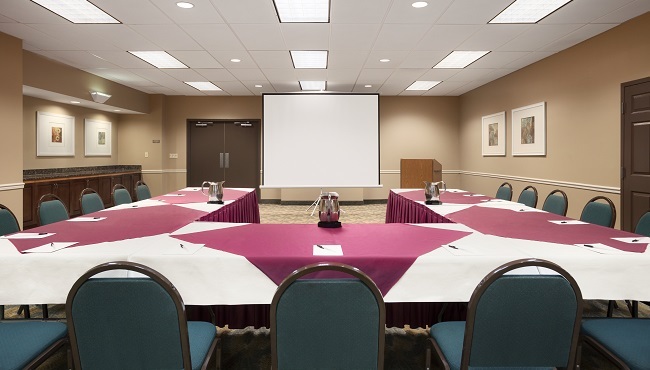 For an ideal venue near Virginia Beach businesses, reserve the 1,350-square-foot meeting room at the Country Inn & Suites. Offering free Wi-Fi, catering options and a 612-square-foot pre-function room, our facilities allow you to invite up to 110 guests for large training seminars and social receptions alike. For more intimate get-togethers, choose the U-shape setup for a conference with up to 20 guests. Our professional staff offers guidance every step of the way to ensure your meeting is flawless.